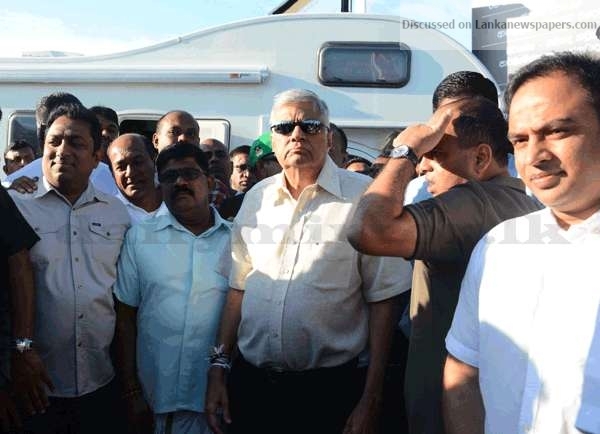 ‘Yukthiye Yaathrawa’ (Drive for Justice), a vehicle parade, organized by the UNP, calling to restore democracy, was launched by UNP leader Ranil Wickremesinghe opposite the Colombo Municipal Council this morning. The vehicle parade was heading to Mahiyanganaya via Kataragama. ← He had to run for life!